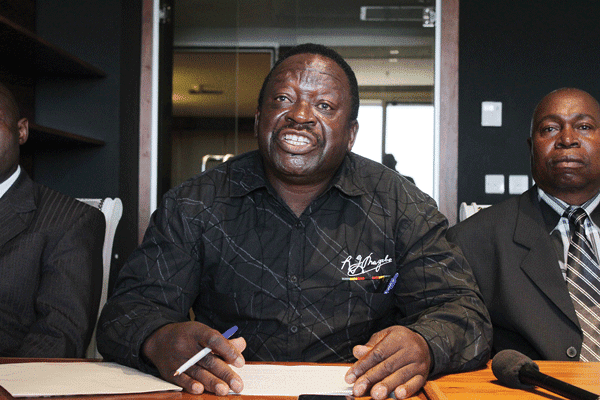 IT is sad that at a time when the country is going through multi-faceted socio-economic challenges, a group of people calling themselves war veterans – under the leadership of one Victor Matemadanda – would rather be pre-occupied with having the age of those that qualify for the presidency increased from 40 to 52. Let us take this opportunity to remind Matemadanda that when most people that are currently in government today first took leadership positions, they were in most cases way younger than 40 years. It is a misnomer to say grey-haired men and women are competent leaders. In fact, our situation in Zimbabwe right now is proof that one can have as many grey hairs as possible, but that neither translates to wisdom or good leadership. If that was the case, Zimbabwe would have been several notches higher in terms of development and progress than is the case right now. We believe the war veterans should actually be at the forefront in speaking truth to power as the very ideals that drove them into the battlefield during the liberation struggle are being butchered left, right and centre by their own compatriots whom they want to rule even when their heads have turned ashen. The manner in which Zimbabwe has been driven to the very brink of collapse by grey-haired men and women should actually be something of concern to them. We cannot be majoring on minors when the nation is burning. War veterans should also note that one does not tamper with the Constitution for momentary gains. A Constitution is a document for posterity and should not be used by a rag-tag group of people to seek relevance. That is totally unacceptable and should not be allowed to happen. There are more serious problems that need to be tackled.